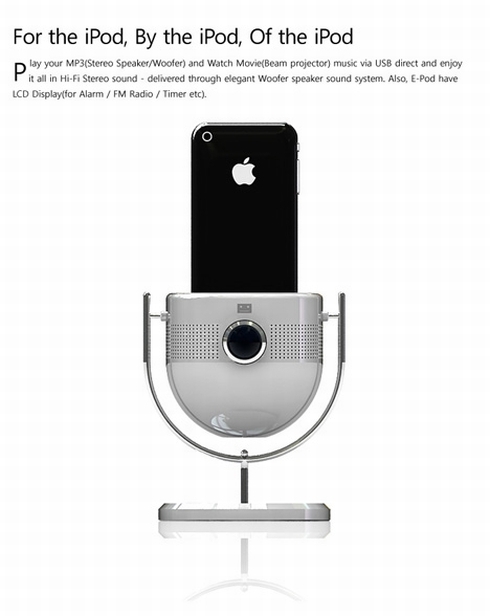 Aside from concept phones and other portable devices, we sometimes take some time to check out concept accessories, like this iPod/iPhone dock. 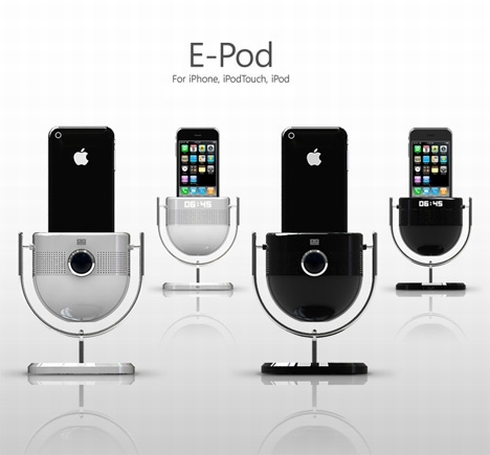 The E-Pod is a Eun Seok Huh creation and plays the part of a speaker, movie projector, alarm clock and… obviously a dock. The device is the size of a regular alarm clock and it packs stereo speakers, Hi-Fi Stereo Sound, an LCD display and a woofer. I really like the design, although the whole tilting dock thing could prove to lack stability, in the long run.